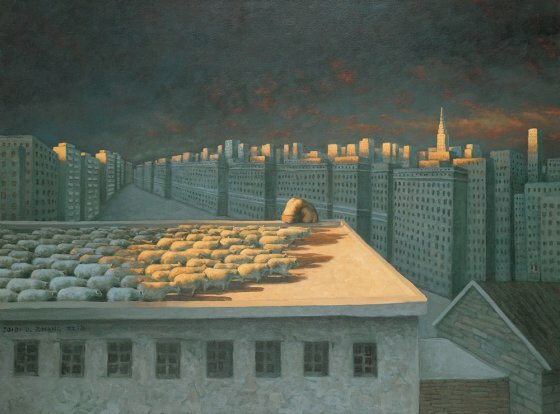 Zhang Linhai started by studying wood engravings as an undergraduate, and has developed as a painter since then. 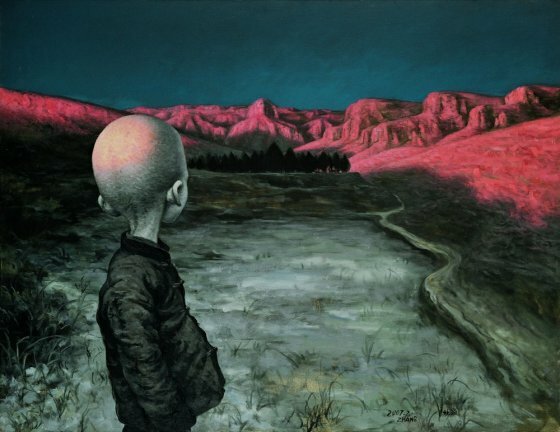 Depictions of bald children wandering through, or flying over, an arid wasteland or countryside village are characteristic of his works. 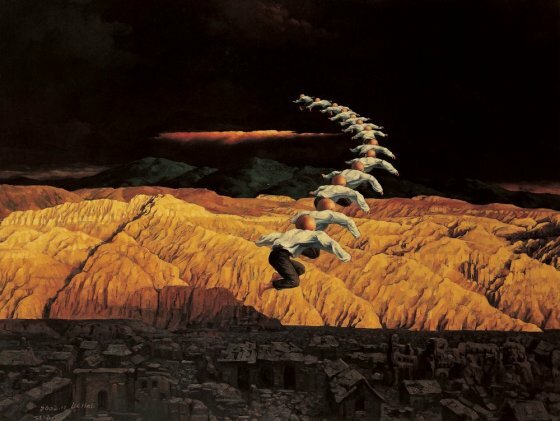 This subject matter was chosen in college, stemming from his personal pain and sadness as a child, and reflects his childhood struggles and his dreams of escape and liberation. The repeated arrangements of his motif display nostalgia and alienation. Drawing from an established artistic language developed during his second year of college, Zhang Linhai rarely sketches his ideas beforehand, and almost always uses oils. He works directly onto his canvas, and allows the narrative to fully develop under his brush. The complexity of the narratives and the details and balance of the composition are striking. 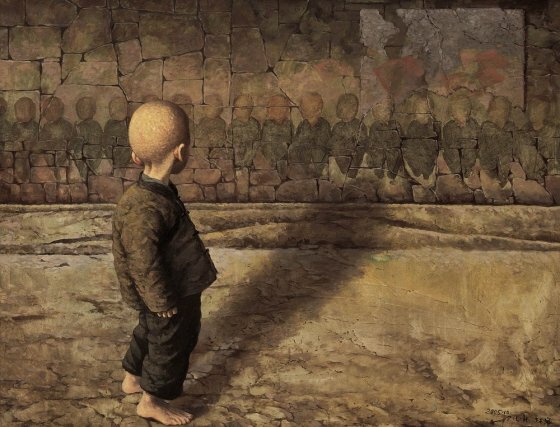 His paintings are influenced by ‘Realism’, ‘Social Realism’, ‘Hyperrealism’, and even the surreal, resulting in a timeless, unearthly quality that reinforces the feeling of the darkness of his narratives and the poverty of the oppressed. 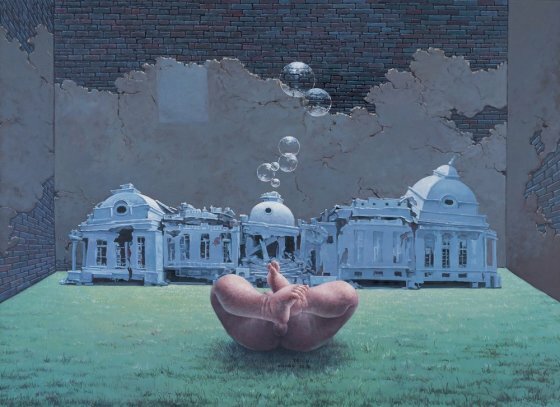 His apocalyptic vision of the world is rendered through the use of geometry, perspective, and surface texture, as well as a unique range of colours and lighting.